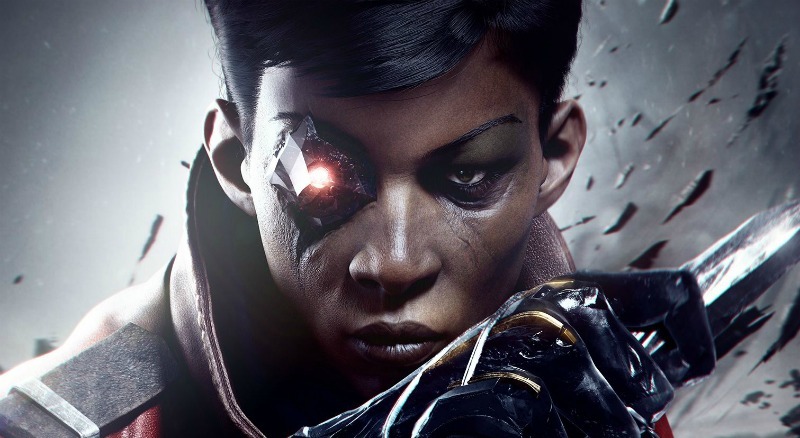 The topic of this month’s podcast was ostensibly about Arkane studios’ third installment in the Dishonored franchise: Death of the Outsider, and writer Hazel Monforton’s contributions to the development of the game’s narrative. However, it was in many ways a metadiscussion about the game and the worlds games inspire. The conversation grappled with the questions of how and why games move us. The focus was particularly relevant in Monforton’s case, since she began as a dedicated and passionate fan of game cultures, and more specifically, the paradiegetic realms they suggest, and famously managed to parlay that enthusiasm into a writing contract on Dishonored: Death of the Outsider. As Monforton relates, she became involved in the franchise in 2013, when she first encountered Dishonored. Obsessed with the game, she even repurchased a copy of the game after a transatlantic move to Durham University: she simply needed to have the game near her. Since her PhD research explores the use of ritual violence as a preemptive measure, she thought about ways of integrating these perspectives into the Dishonored franchise simply from the perspective of a fan. No stranger to writing fan fic, she penned an infamous (“One of Dishonored: Death of the Outsider’s writers was hired because of her great tweets”) tweet thread likening the outsider to the ancient Greek concept of the pharmakos: the sacrificial scapegoat and tokenized outsider who is invested with a group’s troubles before being banished or murdered in a collective, ritual fashion to expurgate the evil. Incidentally, this story theme was already in place at Arkane before she wrote those tweets that would later be noticed by the game’s designer, Harvey Smith. Monforton was then brought on to facilitate the completion of the story for the third game. Monforton touched on some of the work that went into writing the video game: Harvey Smith and Sachka Duval, who had already completed the story of the game, would describe the scene, its length, and the amount of information it required (i.e. what information about puzzle, level, goals that had to be integrated into direct and ambient dialogue). Monforton’s role was to convey story mechanics through game assets (stressing the importance of a dagger, for instance), which were iterated through multiple drafts. Nevertheless, she says she was given a fair amount of leeway. Monforton was also responsible for dialogue trees for the three main characters–also in consultation with the game designers, and developed the game-universe fan-fic included in the game, including, but not limited to a Corvo slash-fic that can be found in the grand archives (!). She also provided details about main villains, characters (including and especially the academics in the mine) and filled the library setting with academic in-jokes, including a four-part academic text about the status of the Outsider in the style of Gayatri Spivak, and an extended conversation between three academics whom she modeled after Derrida, Lacan and Kristeva engaging in an extended debate about the hermeneutics of the self (again: !). According to Monforton, “academic hubris lies at the heart of the game”. This month’s podcast participants also discussed textual references and media richness in immersive sims. They began with Dishonored, delved into cerebral interrogations of Christ and consumption in Bloodborne, and concluded with the role fanfiction plays on a player’s relationship with games. Designing worlds are as much about leaving space for players to design their own niches within the text of the game. Monforton suggests that Arkane has increasingly sought to develop in-text media that hail the academics who play and study games. For instance, she mentions the René Girard reference to mimesis in Prey, which heightened her engagement in the game when she noticed it. Monforton was conspicuously aware of this facet of narrative immersion from her multiple writing backgrounds, and also sought to create spaces for fan-fiction to develop from the game through its environments. Through libraries, in books, maps, graffiti, etc, Arkane studios scattered layers of meaning across the spectrum of materials that mediate the cultural, political and social contexts of game worlds. Cumulatively, these aspects aim to enrich our experiences and encourage our engagement with narratives and characters. This month’s podcast was also about the innovative lengths we go to and creative exploits we use to integrate games into our lives. For all of us involved in the play and study of games, our enthusiasm for games and their immersive realms has meant juggling our places between multiple worlds. For Betsy, this has meant finding ways to reconcile her enthusiasm with the dictates of her academic program by focusing a portion of her dissertation on the same game that she loves to rediscover, Dragon Age II. For Monforton, it has meant navigating her academic and professional careers in games simultaneously. At one point, it even meant taking time off from her PhD to pursue the opportunity to complete a dream project: writing for a game. In the latter case, she parlayed her academic knowledge into narrative richness for the game. In 1999, game designer Greg Costikyan outlined what he deemed a fantastical concept for an in-depth study of games as a legitimate and rigorous field of study. “It is not merely possible,” he wrote, “but important to understand games, to explore them, to provide a critical vocabulary and a sense of their history and aesthetic” (24). Just as players needed to understand the history and procedures involved in the making of the games they played, so too must players and designers attend to culture of games. Given that game studies was as yet in its infancy, Costikyan had yet to conceptualize what scholars should do, though he does tantalize the reader with the promise that one day dissertations would be written about games. (Had he any conception about full-fledged books too?) Let’s extend Costikyan’s injunction further. Just as it’s important for game reviewers to give time to playing the game, it is important for those who study games to think critically about the processes that go into the production of game narratives in addition to studying the narratives themselves. Hazel’s account emphasizes the value for game studies to attend to the paratext of games and the process of their construction. Mikhail Fiadotau (2015) helpfully frames the study of paratext in game studies, noting that while fruitful, “many researchers seem to have adopted a somewhat utilitarian reading of it, whereupon the concept’s inherent complexities are overlooked in order to make it more immediately functional” (86). This restriction comes from concerted effort towards terminological concision. Nonetheless, Fiadotau suggests a return to the drawing board approach to studying paratext in games. Rockenberger (2015) provides two comprehensive topologies of paratextual elements that enrich game worlds. However, seeming to draw from Genette’s distinction of between peritext and epitexts (typified by proximal distance from the main text), she limits the scope to licensed productions authorized and approved by “entitled members of the production collective legally responsible for the video game” (72). Setting aside my reservations for her rhetoric, particularly since its echoes troubling conversations taking place in broader game culture over who is entitled to legitimately participate in games, Rockenberger’s formulation would seem to reify the author function that paratextual studies problematizes (to say nothing of questions raised by translation). Monforton’s involvement with the Dishonored franchise further troubles Rockenberger’s distinction. Monforton’s tweets have certainly become a crucial touchstone in the cultural collective of the Dishonored paratext at least. The ad hoc assemblages central to Rockenberger’s formulation must also cede space to the discontinuities of these meta-media corpora, which have increasingly proliferated among fan and player thanks to online platforms for sharing such content. Given the way that these media objects signal and construe meaning about the primary text, Rockenburger further suggests that we should understand Genette’s concept of paratext as a mode of framing. Fiadotau (2015) similarly clarifies the range of paratexts as a mode of framing, and explores how even so innocuous a feature of a game like its title can exert profound meaning over player reception of the text. Just ask Mark Serrels (2015), who eulogized Bloodborne‘s sparse and evocative loading screen after a patch reduced the loading times (“I’m Gonna Miss Bloodborne’s Loading Screens”). As the conversation progressed, and Monforton detailed all the narrative and paradiegetic nuances she sought to bring to the game, I began to realize how ill-suited the contemporary practice of game reviews can be to reporting on the immersive worlds of games. The game industry in general complicates the potential for game communities to engage with the worlds that artists, designers and writers have spent years developing. At one point, Monforton relates how few critics actually discussed the game’s narrative. As Monforton notes in the podcast, professional game reviews are typically created and posted in haste, sped onto sites to beat the crest of reviews. This leaves little time to critically engage with a text. For Monforton at least, it’s only after repeated engagements with a text that she begins to determine the aspects that draw her. Critical introspection is cultivated through time and distance from the text. I can’t help but wonder if the reviews themselves function as a paratext of the game culture too. As Monforton admits, she fervently read every review of Death of the Outsider. How might these text materials frame Monforton’s relationship to the game she helped to craft? Contemporary media technology offer a greater capacity for creation, but which has led to a seeming incapacity for us to sustain attention. The key takeaway: slow down and enjoy. Ultimately, this month’s conversation was also about our insatiable desire to experience the immersive fun of games. For many, life increasingly makes this experience unobtainable. As it always happens, events beyond the inward pleasure of the game world intrude, the PhD demands more of your time, and the game gets pushed to the back of the docket, or, if the console is shelved, forgotten entirely. This conversation reminds me how the media we experience can also serve to frame and enrich the narratives of our lives. For Monforton at least, Dishonored has indelibly done so. As for me, this conversation has placed Dishonored: Death of the Outsider high atop the list of games I need to play once I get some semblance of conventional structure back into my life. Or, to borrow Monforton’s phrasing, when the “9-5 job is my downtime”. Costikyan, Greg. “Understanding Games”. Horsemen of the Apocalypse: Essays on Roleplaying. Charleston: Jolly Roger Games, 2000, pp. 22-27. Harvie. Steven. “The Paratext Of Video Games – First Person Scholar.” Firstpersonscholar.com. N. p., 2017. Web. 24 Dec. 2017. Fiadotau, Mikhail. “Paratext and Meaning-making in Indie Games.” Journal of Comparative Research in Anthropology and Sociology 6.1 (2015): 85-97. Web. Rockenberger, Annika. “Video Game Framings”. Examining Paratextual Theory and its Applications in Digital Culture. N. Desrochers & D. Apollon (Eds.). Hershey (PA): IGI Global, 2014, pp. 252-286. Rockenberger, Annika. “Video Game Framings.” Gamification: Concepts, Methodologies, Tools, and Applications, Information Science Reference, 2015, pp. 49–82. Klepek, Patrick. “The Violent Path Feels Damn Good In ‘Dishonored: Death Of The Outsider‘.” Waypoint. N. p., 2017. Web. Monforton, Hazel. “Fear the Old Blood | Unwinnable.” Unwinnable.com. N.p., 2016. Web. Monforton, Hazel. “Uncovering The Meaning Of The Outsider, Dishonored’s Misunderstood God.” pcgamer. N. p., 2016. Web. Monforton, Hazel. “Why I Love Cole From Dragon Age: Inquisition.” pcgamer. N. p., 2017. Web. Monforton, Hazel. “Death To The Author: Killing Creators In Dishonored, Portal And Bioshock.” Rock Paper Shotgun. N. p., 2017. Web.